Prominent & Leading Manufacturer from Ahmedabad, we offer reprocess granules making plant and reprocess granules industrial plant. Keeping in mind, ever-evolving requirements of our valuable clients, we are offering quality assured Reprocess granules Making Plant. 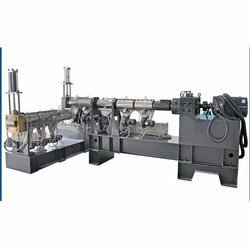 Available in various production capacity, offered plant is widely acclaimed in various industries owing to its precise design and smooth functionality. Moreover, offered plant is available in various technical specifications to fulfill the clients' variant demands. Our provided plant is available at most economical price for our clients.